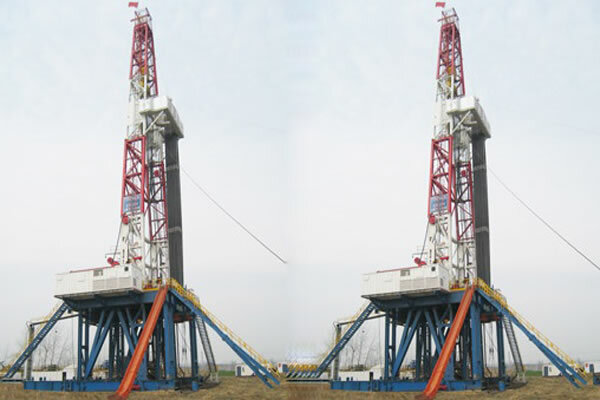 Skid mounted drilling rig is diesel engine driven mechanical rig, the power from diesel engine will be paralleled through paralleling device to drive drawworks, rotary table and mud pumps. 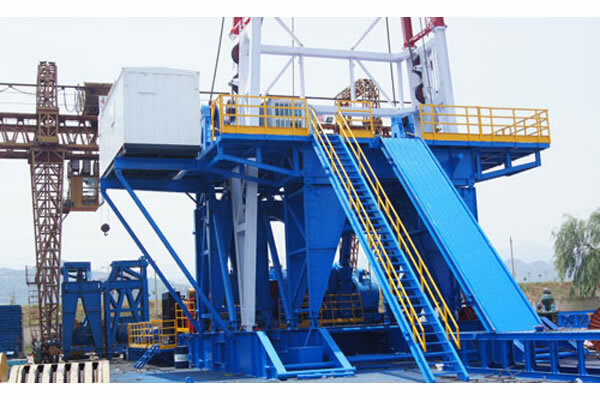 This mechanical drilling equipment is suitable for various oil, gas well drilling and exploration under 4000m at home and abroad. 1. Mechanical drive use "diesel engine + hydraulic torque converter (or coupler) + chain paralleling case”, "diesel engine + narrow V belt paralleling device” several combined drive mode. 2. 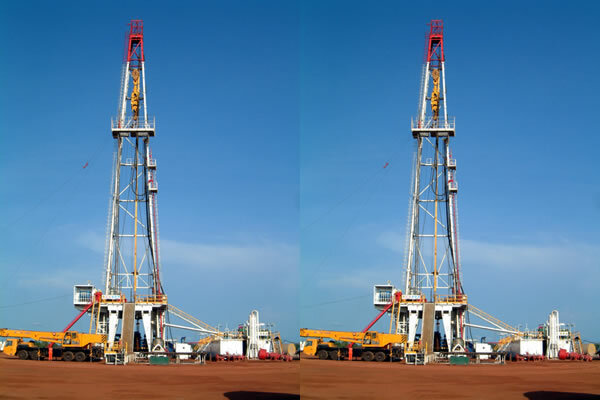 Each part of drilling rig transmission system is connected by universal shaft, which is convenient to install and disassemble. 3. 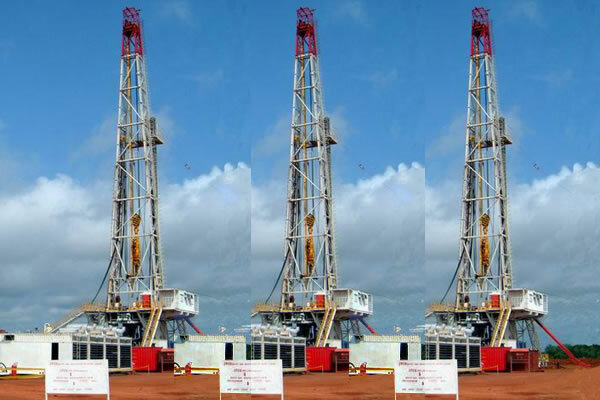 Power package and transmission device use low position installation, through universal shaft transfer the power onto rotary table on rig floor. 4. 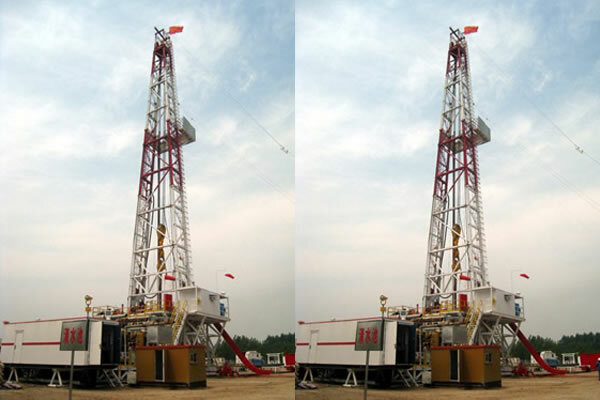 Skid mounted drilling rig is equipped with driller control house and drilling operation instruments. 5. 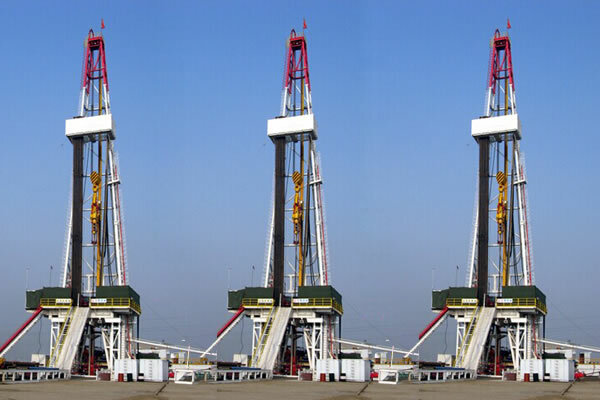 Mechanical drilling equipment part of hydraulic, pneumatic mechanism and tools are set in control house, which improve the driller’s working condition and reduce the working strength. 6. Drawworks is sealing chain transmission drawworks with 4 forward and 2 reverse gears. The main brake uses hydraulic-disc brake, auxiliary brake use magnetic eddy current brake. 7. 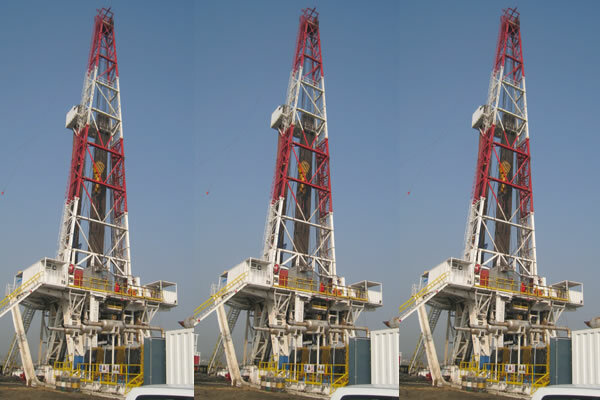 Drawworks is equipped with auxiliary drive device for AC motor, which can be used for mast up and down and emergency operation, and will reserve the connectors for drilling rig upgrading to auto-driller system.